ICR Future is a coalition of educators, employers, and organizations working together to develop our future workforce in Iowa City-Cedar Rapids (ICR). Increase the number of students who graduate with work-ready skills. For more information contact Kate Moreland, Director of Career Development at ICR IOWA. Stay connected! Sign up for our newsletter for the most recent resources, news, and events happening in the region. 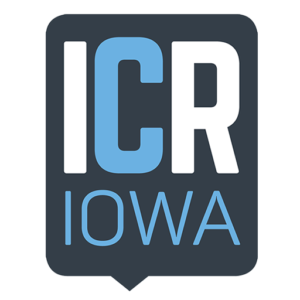 ICR Future is an initiative of ICR IOWA, a joint venture between the Iowa City Area Development Group and the Cedar Rapids Metro Economic Alliance. The ICR Future Career Hub would not be possible without our partners.